CO2 can serve the greater good. Much of today’s efforts to cool the planet involves limiting human-made carbon dioxide (CO2) emissions. But what if there’s another option that’s equally viable? This is what researchers from the Pacific Northwest National Laboratory (PNNL) had in mind in a new study examining the mechanism that would allow for turning CO2 into a valuable source — either as a feedstock for creating other fuels or some other chemical that would be equally beneficial for the environment and the economy. In their study, published in the journal Nature Communications, the PNNL researchers led by Janos Szanyi figured out a way to make sure that converting CO2 would only produce the desired chemical, which would either be methane or carbon monoxide. The key is an often overlooked ion called formate (HCOO-), which works as a critical intermediate in the CO2 conversion reaction. “This study gives us crucial information to use an easily available raw material, CO2, and turn it into something useful—a chemical intermediate, carbon monoxide, or an energy carrier, methane. This intermediate can be used for the production of higher hydrocarbons, or fuels,” Szanyi said in a statement, according to Phys.org. In their experiments, the PNNL team figured out the factors controlling what products result from CO2 hydrogenation. 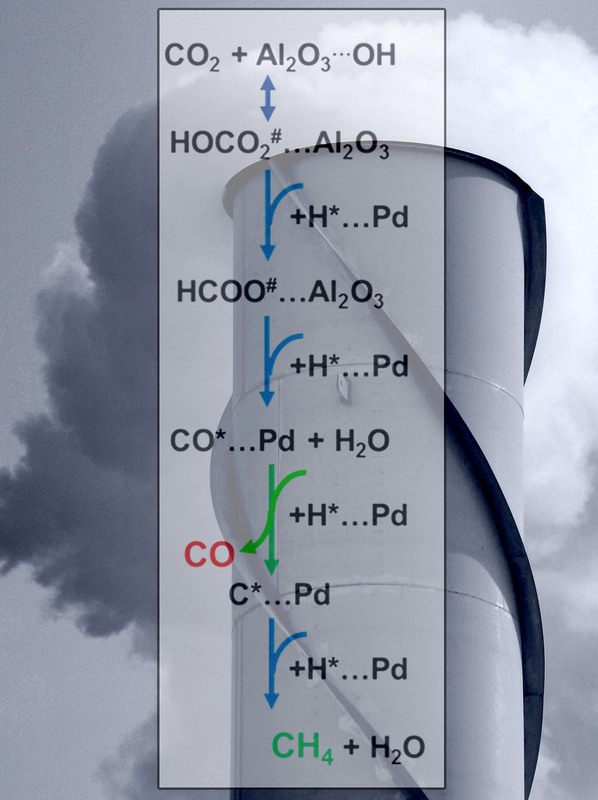 Once these key factors were determined, the team designed three catalysts with varying levels of palladium distribution, another element they realized was crucial in selecting the products in CO2 conversion. Lower palladium levels in the catalyst produced both carbon monoxide and methane, while higher concentrations of this metal resulted in 80 percent selectivity towards methane. This is another example of an alternative energy source. Aside from renewables like solar and wind, perhaps the most popular among these is hydrogen fuel. Recent research, however, have shown potential other sources that seemed highly unlikely at first. For example, two studies sponsored by the U.S. Department of Energy are looking at the possibility of using seaweed to fuel cars. In any case, these alternative energy sources are very much welcome to contribute in the global effort to reduce carbon emissions and dependence on fossil fuel-based sources of energy.